In a shocking turn of events, Zidane left the manager position of Real Madrid amid rumors of the former player to have disagreements with the club owner, Florentino Perez. His announcement to leave Real came after he led the club to their 3rd consecutive Champions League title in Kiev. And, now Madrid have a huge task of picking the next manager for their team. It would not be easy as Real Madrid is one of the main football clubs in the world and finding a manager who can handle the pressure and the team itself would not be easy. This is why Allsportspk expert panel has listed the Top 5 contenders that are likely to fill in the boots of Real Madrid’s managerial position. Massimiliano is the current manager of Juventus and his temperament and statesmanship is widely recognized in football circles. Moreover, it was under his supervision that Juventus reached the semi-final of Champions League semi-final. This feat alone shows his managerial tactics and his ability to keep the team together in pressure situations. Although, Allegi’s record is impeccable for Juventus however, several reports of him rejecting Real Madrid’s offer are in the air. 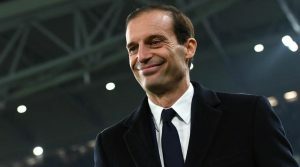 And, even if these reports are untrue it is most likely that Juventus will demand a huge compensation for letting their beloved manager make this move. After serving Arsenal for 10 years, Arsene Wenger is now up for grabs. He enjoyed an excellent record for the most successful club in football club history. His achievements are second to none and his track record for Arsenal is a clear indication of it. Highly experienced and the hunger to win, Wenger is the man Madrid are in search for. Arsene Wenger has a history of turning down Real Madrid’s manager position more than once. And, this might stop Florentino Perez from reaching out to the former Arsenal manager once more. 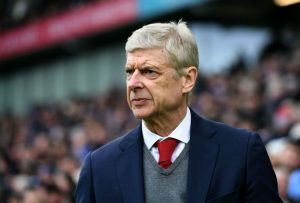 Moreover, the decision of hiring Wenger might be difficult to explain to Real Madrid’s supporters as they want a more dynamic and young manager to take hold of their team. 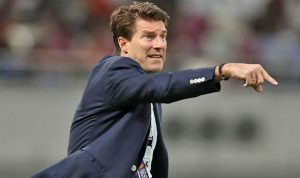 A great player of his generation, Michael Laudrup has the aura and skills that Real are looking for in a manager. Rayyan is currently the coach of Qatar Stars League club known as Al-Rayyan but the good news is that his contract is coming to an end. Michael Laudrup is the only manager that can fill in Zinedine’s boots as he is also considered to be a great player of his era. This means Madrid can present him as a role model a similar tactic that was followed during Zidane’s role as a manager. On the contrary, Laudrup has no major trophies to his name in Europe and this might become the main reason that Real Madrid don’t appoint him. For the most part of his career, Guti played for Madrid and was a talented mid-fielder of his time. Currently, he is the coach of the youth team of Madrid, thus making him an excellent prospect for taking the reins of the senior team. The chances of him being appointed by Madrid are quite high. However, his inconsistency as a player might become a hurdle in getting the managerial position. However, to his credit he has had an immense and quite unexpected success at Real Madrid’s youth academy and this just might get him the job. Furthermore, the fans also are in favour of hiring Guti as who better to coach Madrid than a former player who shares the same love for the team as they do. Michel is of Spanish descent and back in the day he was known for his exceptional crossing ability and goal conversions. 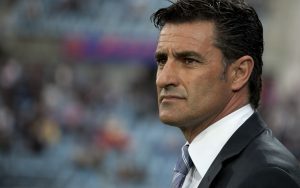 He has an extensive experience of coaching football teams and he was the recent coach of Malaga FC. But, right now he is free and actively looking for a job as a manager for a reputable club. Real Madrid, maybe? Michel has a charismatic personality and also understands football politics quite well. This alone makes him eligible for consideration as the manager of Real Madrid. But on the other hand, he has only won trophies in Greece and this might allow Madrid to steer clear off him and appoint another manager. Meanwhile ex-Arsenal coach Arsene Wenger is one those being rumored to replace Zidane. Who do you think would become Real Madrid’s manager? Comment down below and share your thoughts. Next articleAllsportspk Blog: Tour & Trekking Trip 2018 – The Silk Route!